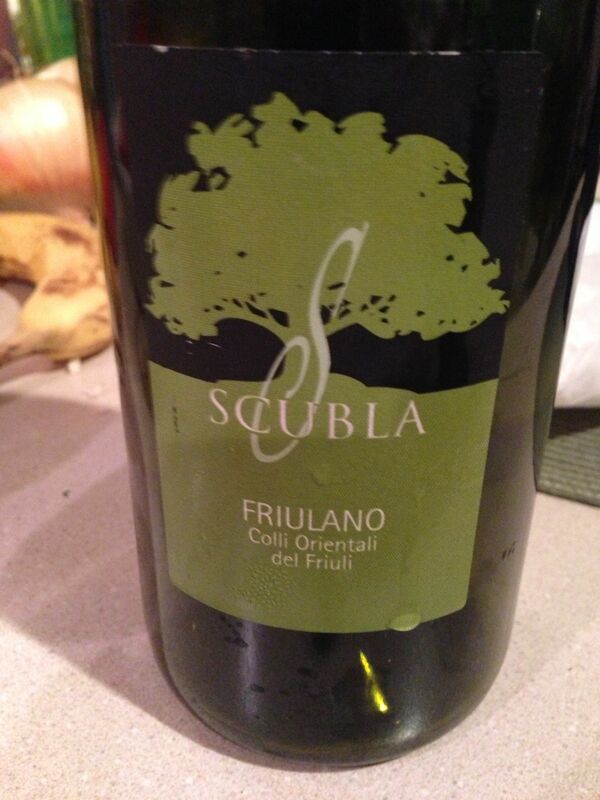 I was lucky enough to try this wonderful wine, Friulano 2011, from Scubla earlier this summer and then to drink a bottle during my vacation holidays with great swordfish. I like Friulano with its almond notes, good acidity and refreshing sapidity. I am tempted to write minerality but am trying to get away from that word which has caused so much consternation in the wine community. I have never visited this winery located in the Colli Orientali del Friuli DOC, near the city of Cividale. Scubla makes just 11,000 bottles of this wine a year. The winery has 12 hectares and was created in 1991. To make this Friulano, they use whole cluster pressing and leave the wine sur lies for eight months. The nutty, yeasty notes you get from this process appeal to me greatly and were also a nice pairing with the torta rustica that I made. The wine is imported by Vinifera Imports.